A nebula is a giant cloud of dust and gas in space. Some nebulae (more than one nebula) come from the gas and dust thrown out by the explosion of a dying star, such as a supernova. Other nebulae are regions where new stars are beginning to form. For this reason, some nebulae are called "star nurseries." 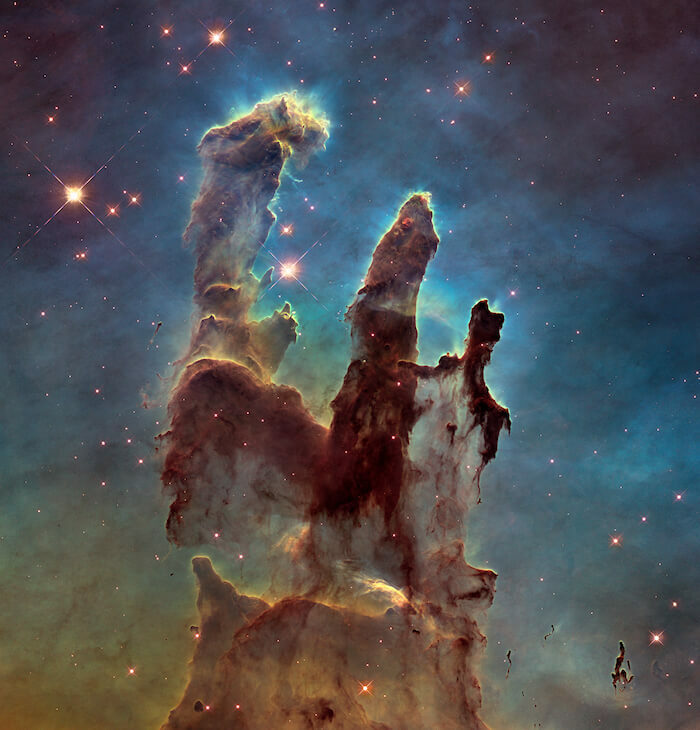 Nebulae exist in the space between the stars—also known as interstellar space. 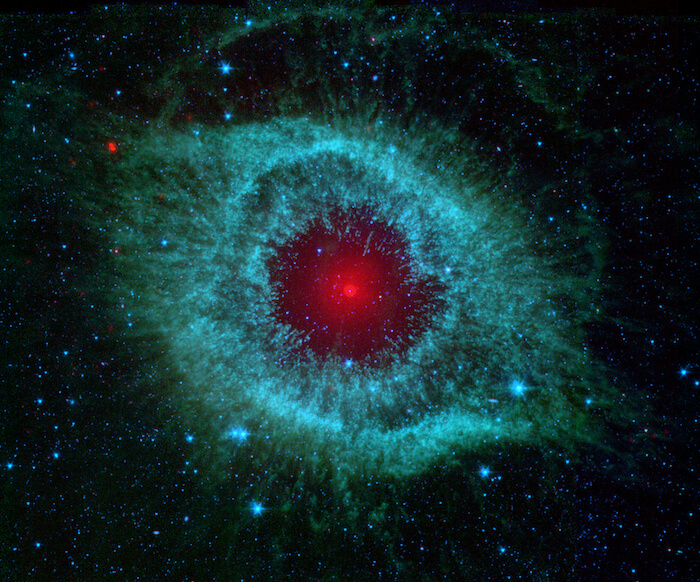 The closest known nebula to Earth is called the Helix Nebula. It is the remnant of a dying star—possibly one like the Sun. It is approximately 700 light-years away from Earth. That means even if you could travel at the speed of light, it would still take you 700 years to get there! Astronomers use very powerful telescopes to take pictures of faraway nebulae. Space telescopes such as NASA's Spitzer Space Telescope and Hubble Space Telescope have captured many images of faraway nebulae.